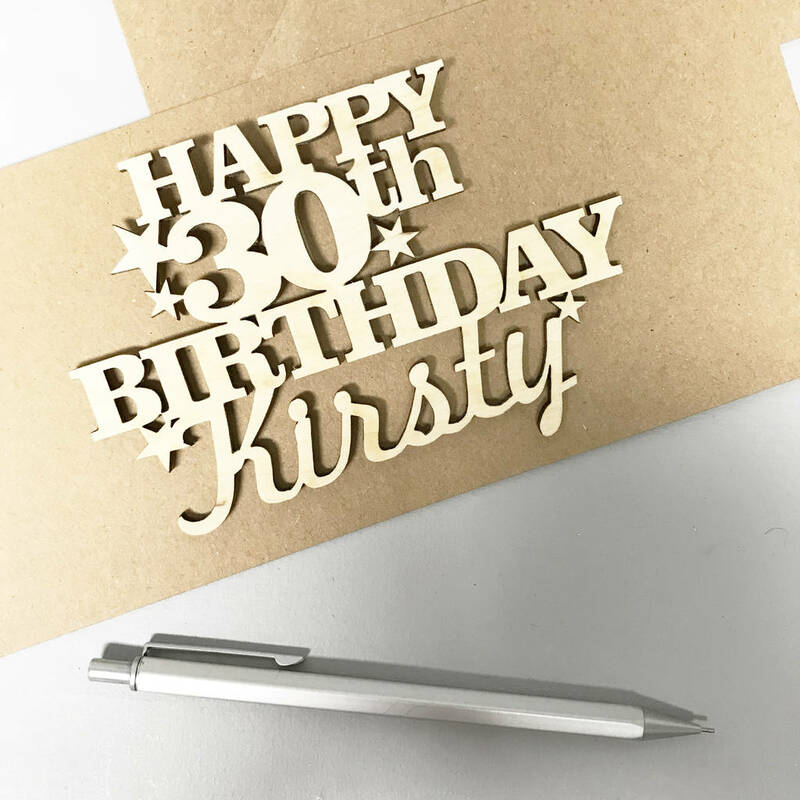 Your Personalised 30th Birthday Card Keepsake is a modern and stylish way to mark your milestone 30th Birthday our cards make charming mementoes. 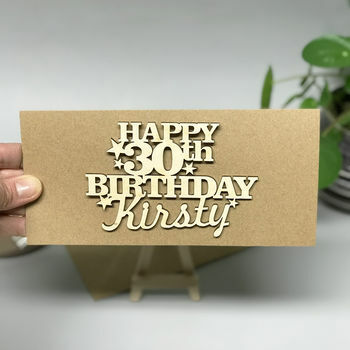 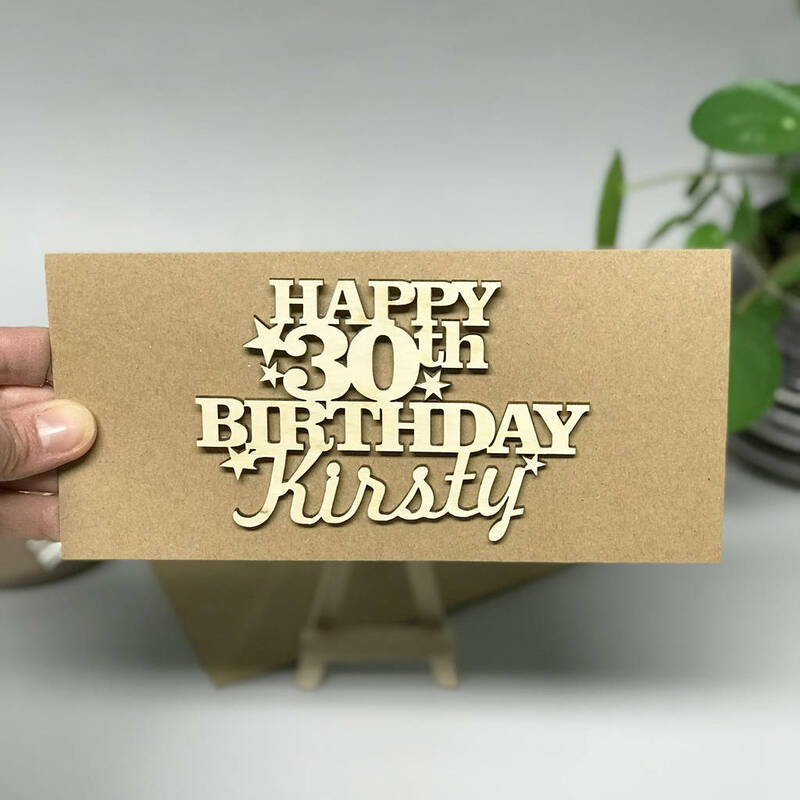 Unique contemporary typographically inspired Personalised 30th Birthday card individually cut from birch plywood. 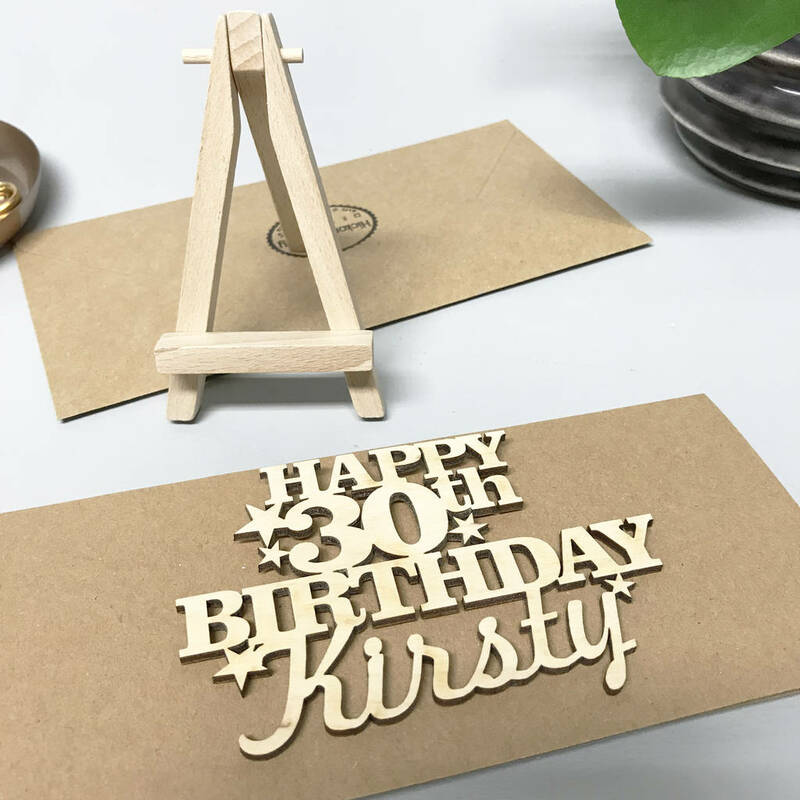 Each of our products is separately made and hand finished in our studio workshop in Brighton East Sussex. 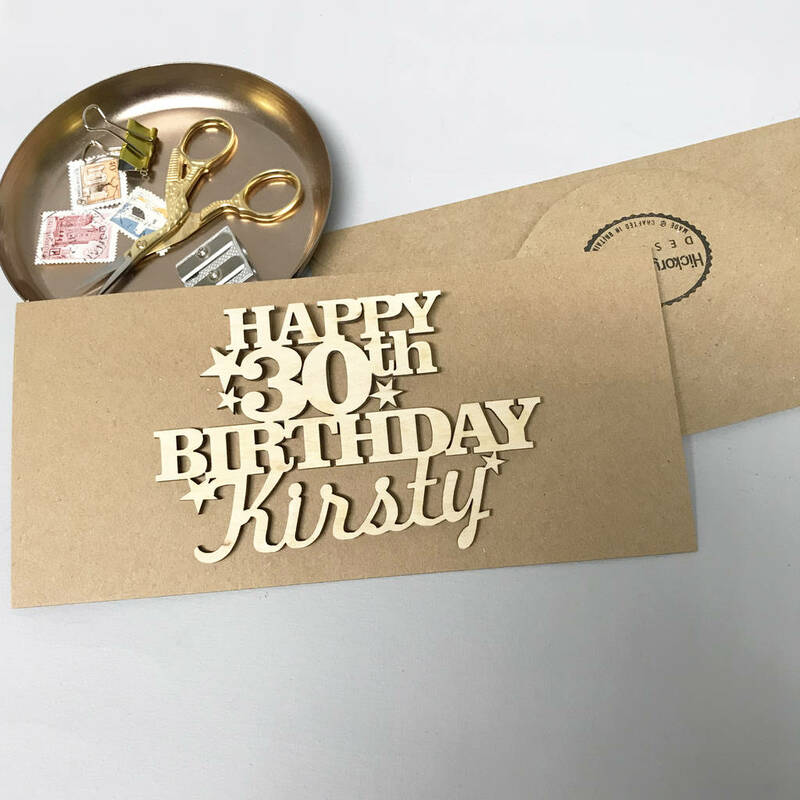 Attention to detail is given to each order to design a unique card, especially for your milestone 30th birthday celebration. 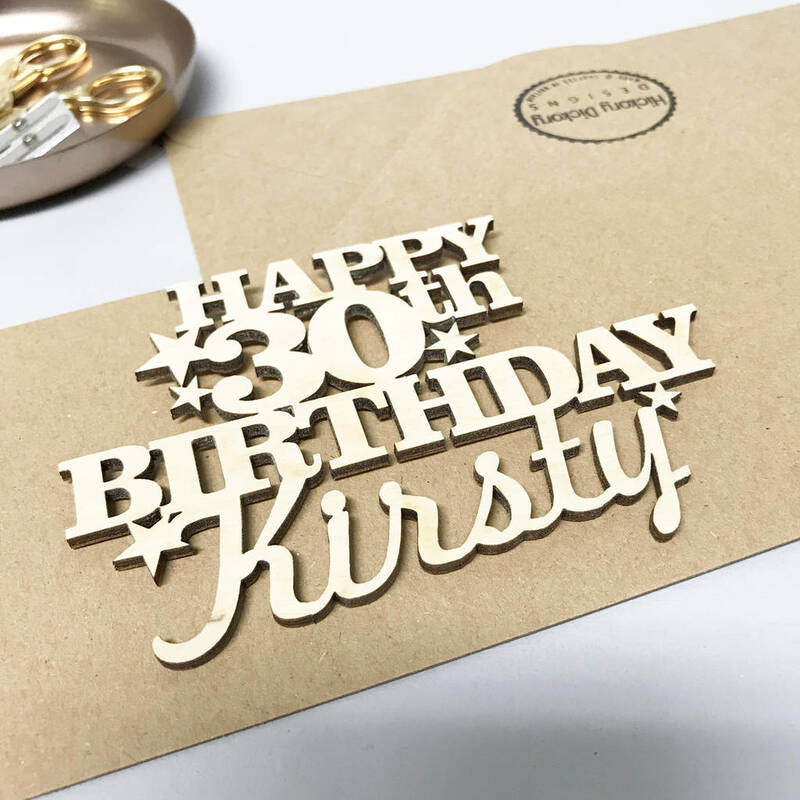 A stunning modern 30th keepsake to mark your 30th Birthday. 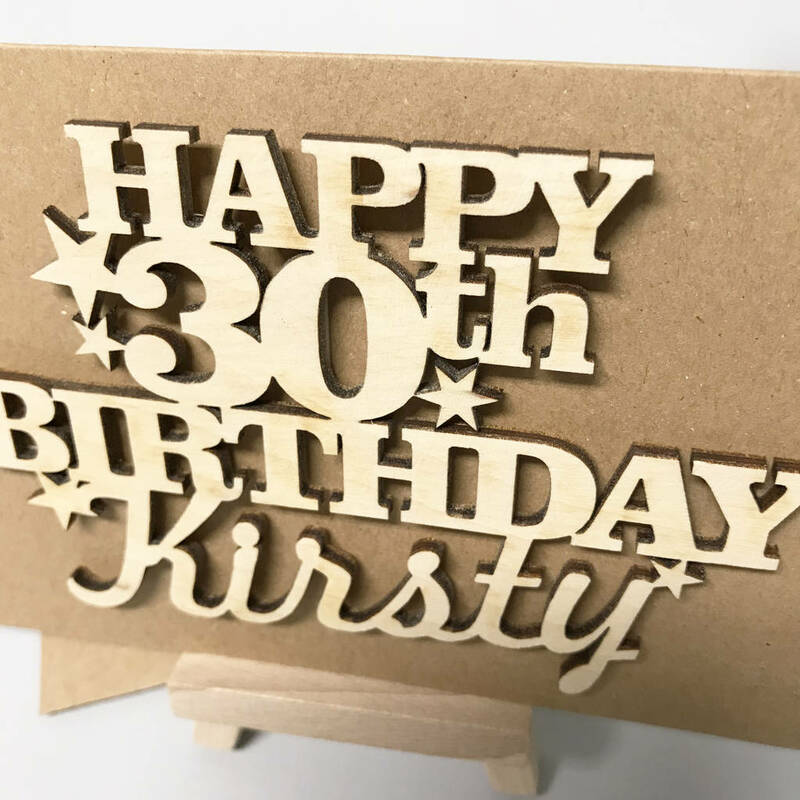 Our cards are more of a gift and have proven to make ideal mementoes for after the special 30th Birthday celebrations and would look fantastic framed as a lasting reminder of the gift giver. 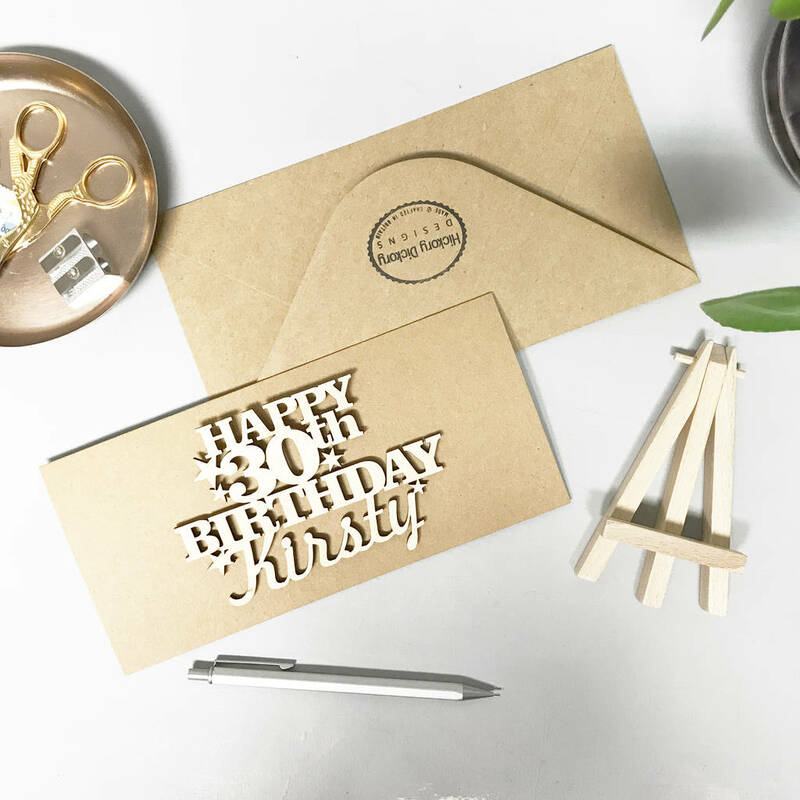 The name of the recipient is designed into the wording creating a charming memento that would look beautiful framed after the event as a lasting keepsake to mark the special family birthday occasion.